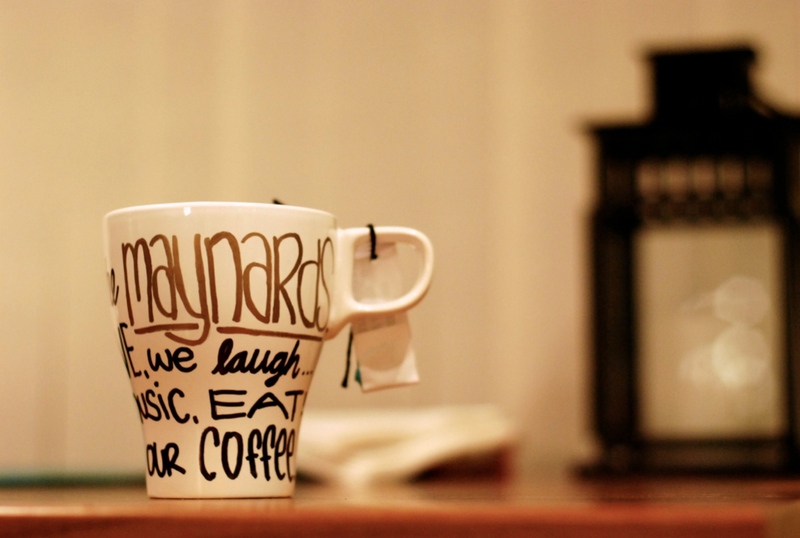 maynard made: make a mug! our youth group made mugs! whoever wanted to was given white blank mugs and sharpies!! who on earth would think you can decorate a mug with SHARPIES! grab your sharpie out of your drawer and design all you want on it! then just make sure you always hand wash it! Aha yeah. Some of the colours on mine faded, like the red, purple, and orange.